Our primary stop was a return visit to the Anderson Collection’s beautiful and functional Richard Olcott-designed facility to explore its extraordinary collection of modern and contemporary art. As luck would have it, we arrived just in time for a fascinating docent-led tour of some of the highlights of the exhibition. The building has a large collection of modern and contemporary American art. While many of the pieces are on continual exhibition, they do change the special exhibits throughout the year. We caught the tail-end of a docent tour, which helped us understand some of the more interesting pieces. We also wandered around by ourselves afterwards. We discussed many of the works in a previous post. We then made a quick stop next door to the university’s primary Museum, the Cantor Arts Center. 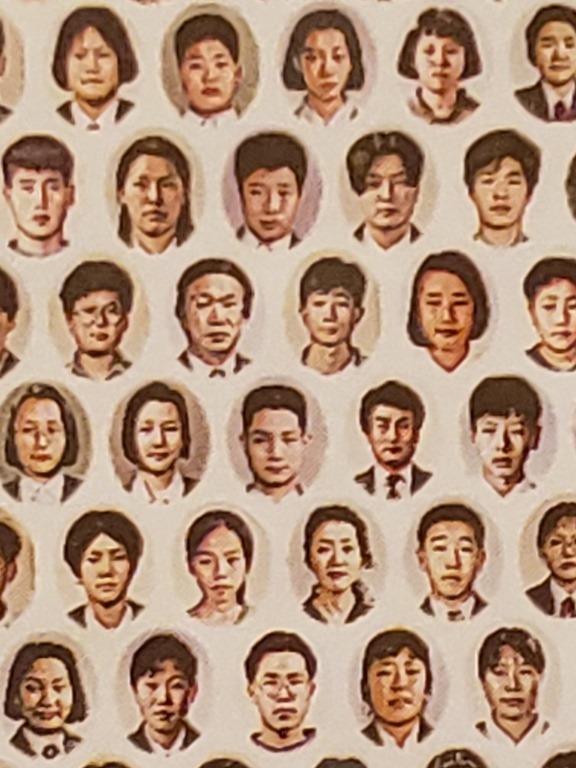 Although we were disappointed to find the museum’s modern and contemporary section temporarily closed, a volunteer suggested that we visit a temporary exhibition by contemporary Korean-born artist, Do Ho Suh. 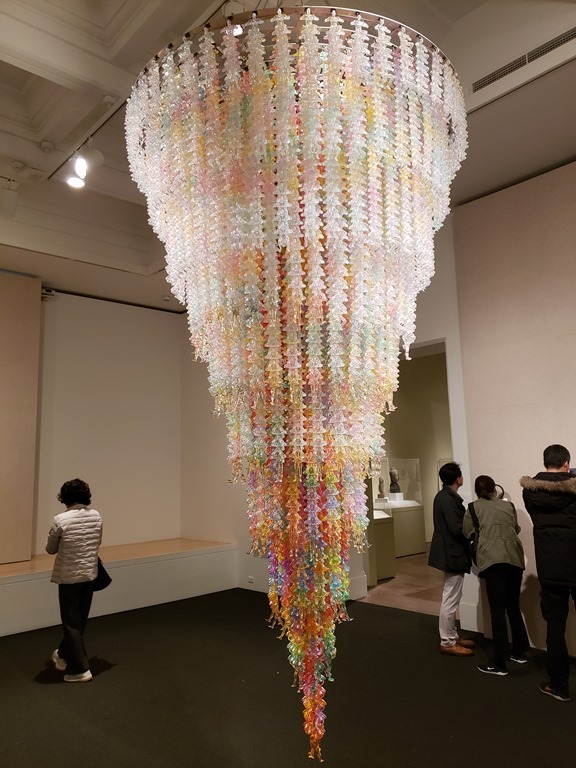 “Cause and Effect” is a smaller version of his original two-story, tornado-shaped chandelier that consists of thousands of acrylic figurines of Korean men, these sitting on the shoulders of the one below. 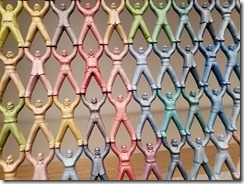 While “Screen” portrays each person individually, those in “Cause and Effect” appear to blur into each other. 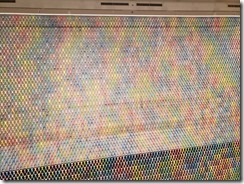 “Who Am I” is an aluminum-colored wall-piece that also takes on a totally-different perspective depending on the distance from which it is viewed. 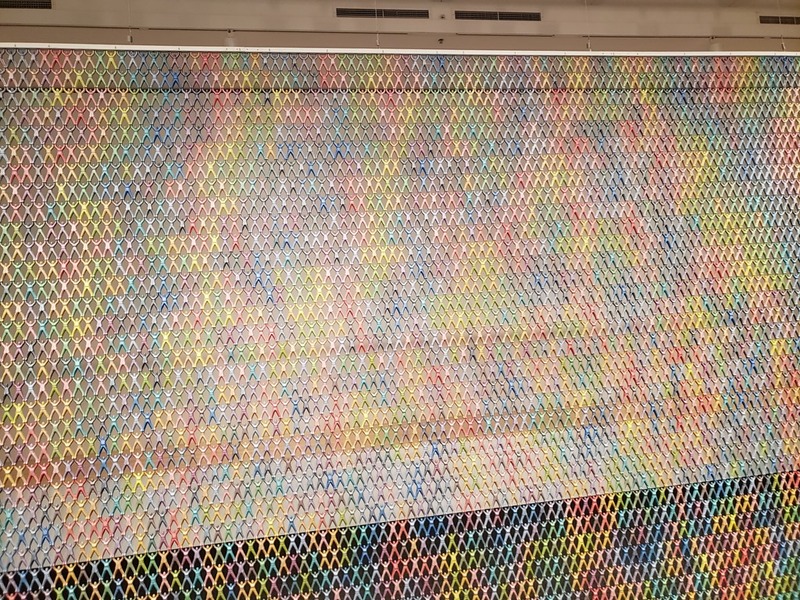 From a distance, it appears merely as a repetitive pattern of dots. As you move more closely, you see that it is actually a lattice that is pocked with thousands of holes. An unaided look through one of the holes suggest that something is behind. That’s where the magnifying glass (or a zoomed image from your phone’s camera) comes in. 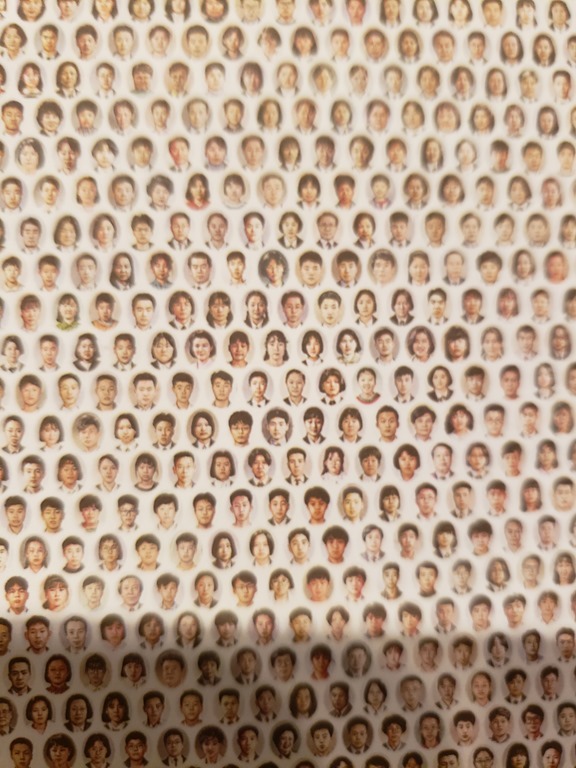 This shows that behind each hole is a black-and-white portrait each of which, as we yearn, is a militarized version of a yearbook photo of one of the artist’s high school classmates. 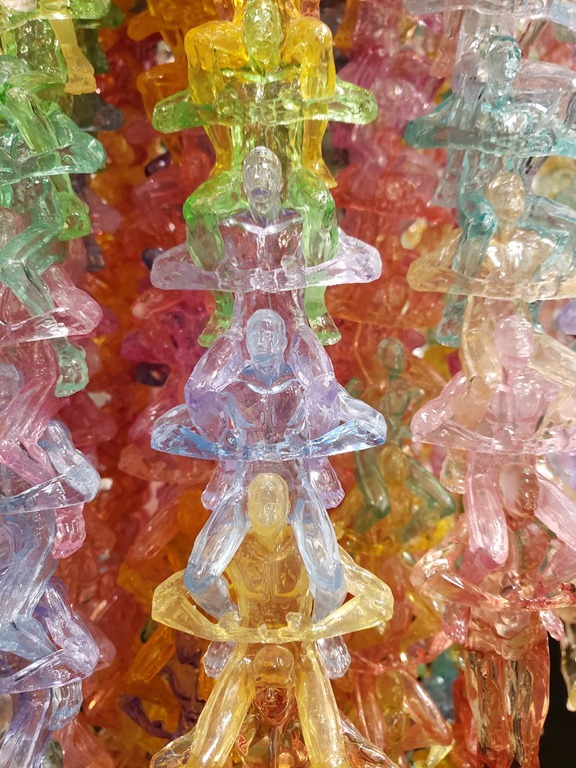 Although all the figures in each of the three installations is portrayed individually, each clearly represents a different type of connection among the different individuals. Overall, a fun and fascinating exhibit.